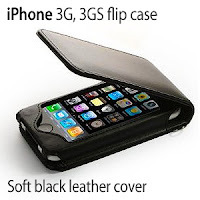 A form-fitting, premium pu-leather case, which surrounds your iPhone 3G with a soft layer of "skin" to gently protect it from scratches. Individually hand-crafted fine pu leather, this case embodies quality and strong attention to detail. Its tight fit enhances the curves of your iPhone and the top flap closes securely with a magnetic seal. I keep my 3GS in my pocket alongside keys, coins and other hard or sharp items. Skins and hard cases do not tend to cover the iPhones weakest point - it's screen. With this case I know my iPhone is safe and I do not have to worry about what other items I have in my pocket any more. The case itself is very sturdy and well made. The leather does indeed feel like real leather and it secures a 3GS very well indeed. You can access all of the buttons, connect earphones and charge without having to revove the case. The speakers can also be heard clearly, signal remains strong, and there is a small hole for the camera in the rear for the camera lens to see through. but you can remove the phone from the case if needed. 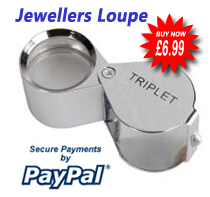 This is a great case which fits comfortaly within mens jeans and trouser pockets. It is well worth the money.